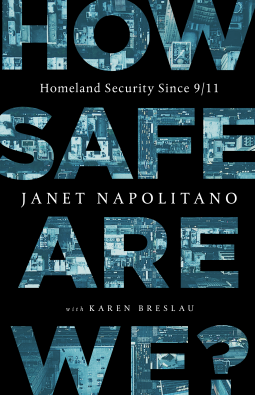 Former Secretary of the Department of Homeland Security Janet Napolitano offers an insightful analysis of American security at home and a prescription for the future. Created in the wake of the greatest tragedy to occur on U.S. soil, the Department of Homeland Security was handed a sweeping mandate: make America safer. It would encompass intelligence and law enforcement agencies, oversee natural disasters, commercial aviation, border security and ICE, cybersecurity, and terrorism, among others. From 2009-2013, Janet Napolitano ran DHS and oversaw 22 federal agencies with 230,000 employees. In How Safe Are We?, Napolitano pulls no punches, reckoning with the critics who call it Frankenstein's Monster of government run amok, and taking a hard look at the challenges we'll be facing in the future. But ultimately, she argues that the huge, multifaceted department is vital to our nation's security. An agency that's part terrorism prevention, part intelligence agency, part law enforcement, public safety, disaster recovery make for an odd combination the protocol-driven, tradition-bound Washington D.C. culture. But, she says, it has made us more safe, secure, and resilient. Napolitano not only answers the titular question, but grapples with how these security efforts have changed our country and society. Where are the failures that leave us vulnerable and what has our 1 trillion dollar investment yielded over the last 15 years? And why haven't we had another massive terrorist attack in the U.S. since September 11th, 2001? In our current political climate, where Donald Trump has politicized nearly every aspect of the department, Napolitano's clarifying, bold vision is needed now more than ever.